Would you believe this adorable jumper is actually active wear?! When it comes to active wear, I prefer pieces that can easily transition in with the rest of my clothing, so if I need to run errands before or after the gym, I’m ready and look some what put together. When I received this amazing jumper from Solow, I knew my wardrobe had gained an extremely valuable piece. This is by far the most versatile piece of clothing in my closet. Not only is it ridiculously on trend, but it’s comfortable, cozy and perfect for throwing over shorts and a sports bra before heading to the gym or a comfortable, moveable piece for a yoga class. What makes this piece so awesome? The wrap around, open top makes it breathable and also perfect for layering. The inside is the coziest fleece allowing you to look perfectly cute, while being comfortable on a lazy Sunday. Best of all? Pockets! I had the easiest time transitioning this jumper from a relaxing yoga session to a night out with friends. Adding a denim vest, a pair of chunky heeled sandals, a sweet necklace and a cross body bag, this jumper seamlessly transitioned from gym to dinner. The perfect definition of street to gym style! Seriously, how do you do it? 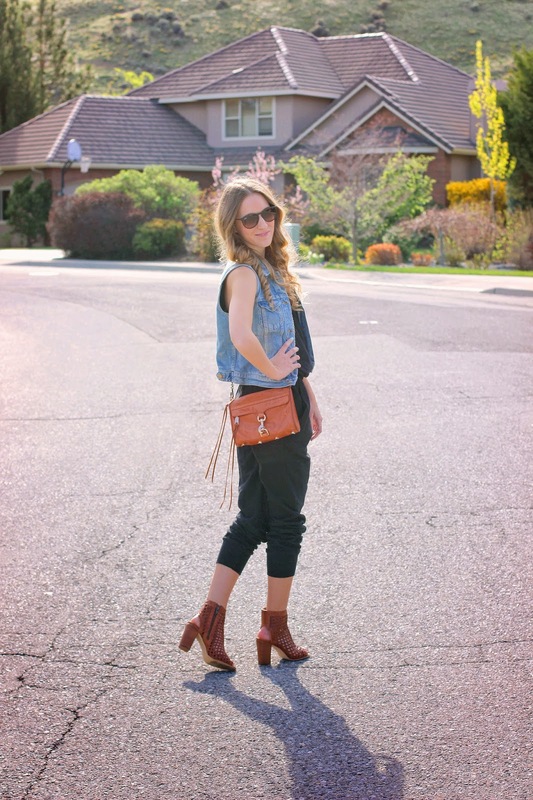 Overalls, jumpers with a harem pant fit….you can wear it all and make it look so amazing! Love this cute romper and how it transitions from a gym outfit to a street look. GAHHH, I LOVE IT!!! loved your sporty chic ombinations! and the backround of ur photos are amazing, loved the place! That looks extremely comfy and breezy, what! I would totally wear that around. I forgot all about rompers and that sort of needs to change. Lookin' precious as always, Ashley! WOW. Would never have guessed it was in active wear! I love how you styled it! I totally can't get over this jumper being activewear! Love both ways that you styled it…those kicks are awesome!